If you’re reading this, there’s a chance you’re an avid golfer. As much as we like to get on the course, are you putting enough stock into performance training in a gym setting? There are numerous aspects of performance training, which will help your golf game tremendously. At Par Four Performance, we have created the Par Four Pillars of a Golf Training Program (clever, right?). These, in our opinion, are the core components that should be added to any training plan to maximize your golfing capabilities. This is an area of training that everybody reading could improve on. Golfers need to have control of their movement, and that is what we are talking about here. If you believe putting your leg on a bench and touching your toes is improving your mobility, we need to re-evaluate what mobility truly means. Using gravity to assist you into a stretch is considered a passive stretch, and focuses on improving your flexibility. Flexibility is a component of mobility, but they are not the same thing. The ability to actively move your body into the positions you need to get into is the true definition of mobility. As we mentioned above, flexibility is gravity-assisted, while mobility is gravity-resisted. This means that you’re trying to fight gravity to get from point A to point B by using voluntary muscular contractions. An analogy we like to use is thinking of flexibility like a glass, and mobility like water used to fill that glass. The more flexibility you have, the bigger the glass is. Without something to drink, however, that glass is useless. 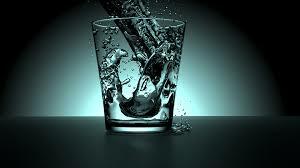 As you gain more active control over your flexibility, it is like adding more water into the cup. Our goal is to have the biggest cup filled with as much water possible. To paint a picture for you, if you can’t actively achieve 90-degrees of shoulder external rotation (ER), you will have a hard time getting your club into an ideal slot during the backswing. Even if you have 110-degrees of passive shoulder ER, if you only have active control of 70-degrees, you will fall short every time making your swing inconsistent while increasing your risk of injury. We should be aiming to close the threshold between your passive and active ranges of motion. Stability is also a component of mobility because you need control to get into desired positions for golf and other sports. For us, stability training focuses primarily on training your body to prevent unwanted movements. Training the feet, hips, spine, and shoulders to create stability becomes important to allow our body better control of movement. This enables us to create more force, allowing for improved body mechanics and distance on your shots. If we use the shoulder as an example again, poor scapular stability can prevent your arms from getting where we need them during our golf swing. This again will create an inconsistency with your swing. We may come off as the mobility guys, but strength is what we love most. Strength and mobility go hand-in-hand. Without one or the other, good luck owning your movement capacities or your golf swing. Having good strength levels offers a multitude of benefits. Strength helps us produce more force, which is always good for adding more yardage from the tee box. It also helps us better absorb and distribute forces throughout our joints, which helps keep us resilient on the course allowing us to play pain-free rounds. This is another overlooked concept of almost every fitness program, especially in the golf world. We can consider golf a very powerful, dynamic sport living in the anaerobic world. Our anaerobic system is one of the body’s energy systems that doesn’t require oxygen to create energy. It allows for short burst movements roughly ten seconds in length, which the duration of the golf swing fits within. On the other end of the energy system spectrum is the aerobic system, where oxygen is required to create energy. Activities that fit into this would be anything that lasts over 3 minutes to complete. Think of going out for a run. In order to have success through a full round of golf without becoming tired and inconsistent through the back 9, you need to have a healthy blend of these two energy systems. This is where proper energy system development can not only improve your fitness but your golf game as well. These four pillars create the context for every performance-based program we develop. Training becomes an important component that helps us improve the way we move and feel on and off the course, as well as allow us to maintain our body’s health. If you want to learn more about how training can help you, check out the Par Four Performance Remote Training Programs here. When we look at the joint by joint approach to movement, we see that our body alternates between joints that need more stability and mobility. Mobility and stability are necessary for all joints, but certain joint articulations will be more stability-focused, while others are mobility-focused. By understanding the joint by joint approach, we’re better able to train our body to maintain optimal function with whatever physical activities we partake in. Think of each joint segment as members of a football team. If the hips are tight and don’t do their job well, a surrounding joint will have to pick up the slack and of the limited joint. Similar to a player on a football team that is working too hard, fatigue kicks in faster and there’s a higher risk of injury as the game goes on. This is an everyday example of the middle age golfer with tight hips that tries to play pain-free golf on the weekends. The lower back or knees have to work overcome the lack of hip motion to swing a golf club, carry groceries, or any other type of physical exertion. The end result over time? Pain. Golf is a game of high repetition and high force that’s executed within the same plane of motion with each and every swing. We ask our bodies to rotate at high velocities hundreds of times in an attempt to drive a little white ball as far as we can. When our mobility becomes restricted, we ask our body to work harder to do this. Lack of shoulder, hip, or ankle mobility can all cause increased forces to act on the spine, increasing your risk of injury. Now, this might not have high implications on tomorrow’s round of golf. When we talk about taking hundreds of swings over the course of the next decade, however, these implications can be detrimental to your daily quality of life. The injury statistics are staggeringly high to backup this point. 8 out of 10 people (not specific to golfers) will suffer a bout of low back pain at some point in their lives. With low back pain being the most prevalent injury in golf, something has to change. By creating and learning how to control those motions, we can inherently improve our joint health and make our bodies more resilient to the forces we place on it. This can be done through various mobility drills, good massage therapy, and strength training through full ranges of motion. It’s not difficult to improve the way you move, it just takes consistency. Not sure where to start? Sign up for our newsletter below so you can learn tips and tricks for staying on the course later in life! The way you grip the golf club can dictate whether you're landing in the fairway or searching for your ball in the deep rough courtesy of a nasty slice. This week, we'd like to discuss the quite often overlooked positioning of your hands at ball address. In the video below, Adam Kolloff, Director of Instruction at the Jim McLean Golf School at Liberty National, provides us with insight on proper grip as well as a quick drill to assess whether your positioning is correct or not. While grip technique is going to help improve your performance on the greens, it's important to improve your wrist strength and mobility. You don't want to put a ton of work into lowering your handicap, just to have a bad divot or tree root injury your wrist at contact. To combat this, you should be implementing wrist Controlled Articular Rotations (CARs) into you daily movement agenda. Wrist CARs can be performed anywhere, take no more than two minutes to complete numerous reps, and will help solidify any range of motion gains you will see over time. Want to learn more about how we prescribe mobility drills and the importance behind each one we use? Sign up for our newsletter and receive your complimentary Virtual Kinstretch Class. Fill out the form below to receive yours when released. Welcome to Par Four Performance! Hey there, welcome to the Par Four Performance website! We're excited to be up and running, and look forward to providing you with quality content that you'll be able to apply as soon as you finish reading our posts. Before we get this party started, we'd like to give you a brief background as to who we are and what you should expect from us going forward. Over the past six months, many people have questioned what Par Four Performance is. We initially joked by telling people it was a t-shirt company; outside of our logo and domain, our first purchase as a brand was forty t-shirts. With all jokes aside, the Par Four Performance mission and standards go way beyond a couple of nice threads you could wear on your back. We want you to understand that our number one priority is to help you improve the quality of your life via proper exercise technique. Both of us believe that practicing mobility and strength training with intent can help you reach most of your goals related to physical activity and health. As you could assume from the name Par Four Performance, the two of us have a passion for golf. Using Titleist Performance Institute fundamentals, we use our fitness and rehabilitation backgrounds to help you play golf recreationally at will while minimizing injury and setbacks. It's important to understand that the two of us aren't here to improve your handicap, we aren't swing coaches. While we have aligned ourselves with some excellent swing coaches that will provide insight to this website and help improve your game, our primary goal is to provide you with the tools necessary to keep you on the course without the aid of anti-inflammatories and heating pads after a full 18. Pain shouldn't be the norm when engaging in the activities you love. We're going to show you how to change that. For all of you non-golfers, we have your needs covered as well. Just because our passion is centered around golf, it doesn't mean that this website is not for you. While there will be a fair share of golf-specific training posted, we want you to know that all of the drills we provide you with are applicable to your everyday life. Exercises we use to create context in the golf swing are the same exercises that will help you pick your groceries up off the floor without tweaking your back. We consistently emphasize that if you are a living, breathing human being, you are an athlete. Whether you play a sport or not, our goal is to improve your movement capacity as much as possible. So, what exactly should you expect from us? We respect your privacy and promise not to spam you.. While we have our content schedule mapped out, we would love to hear from you and see what you'd like to learn from us. Whether golf-related or not, feel free to ask us any questions you may have and we'll answer them to the best of our ability. Together, let's Drive Fitness Forward.